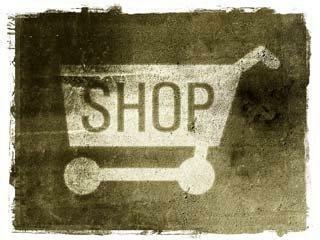 Apparently 27% of food and grocery manufacturers would consider building an online store to sell direct to shoppers. Manufacturers and selling online is not a grey area. According to research from grocery experts IGD these manufacturers are recognising the need to engage directly with their shoppers online. I’m not sure whether this reflects well or badly on the manufacturing community as 100% should be thinking of engaging directly with their shoppers. But flogging goods directly to their customers cannot be the answer so 0% should be considering selling online. Way back in the early days of the internet (late 1990s to be more precise) there was much talk of retailers being cut out as manufacturers could use this new channel to sell direct. 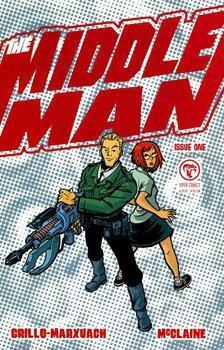 The middle man: let’s cut him out. It was all bluster, hype and way off the reality of market economics because the thought of buying single lines from multiple operators and having them all delivered to the home (and all the travails that ghoulish task entails) would clearly be a nightmare. A much better system would be to order foodstuffs from an operation that collates the goods from various manufacturers. Oh, that’s a retailer. Mr manufacturer soon recognised that this was a bit of a non-starter. This has, however, not stopped intermittent talk of such activity returning but it is still very hard to see it ever taking off. But sensibly manufacturers do continue to recognise the need to better engage with their shoppers. This is why they buy shopper data and insight from the likes of Tesco’s Dunnhumby and people like Procter & Gamble take stakes in things like Ocado. Anything to learn more about their customers’ behaviour. They ultimately want to have some sort of direct relationship with the consumers of their products. This is something retailers have cultivated and are naturally reluctant to give it away – unless they can charge for it, as la Dunnhumby. Heinz: has the right idea. Rather than set up shops manufacturers need to be more innovative and use the online channel and the accompanyinmg social media tools out there to build loyalty-type activities and promotions to get people proactively involved with their brands. 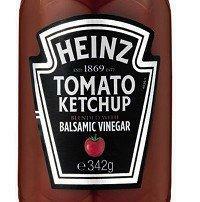 The example of Heinz using Facebook to offer limited edition bottles is probably the way to go. What we don’t need is loads of manufacturers setting up online shops. That’s a bad idea.